As mentioned before, M+B Hangers has some pretty incredible people on staff. Not the least of which is the man who runs the place, Milton. With the epic name Milton Malcolm Magnus, III, I expected someone intimidating before I met him. I mean doesn't that sound like so Norwegian rule guy, ready to smite anyone for no good reason? The great part is he's about as warm a man as I've met...no wonder everyone else at M+B is so great. It starts at the top. And it's not just skin deep either. When I came on board to photograph everything for their promotion, they were already in full swing creating a special garment hanger aimed at cancer awareness. 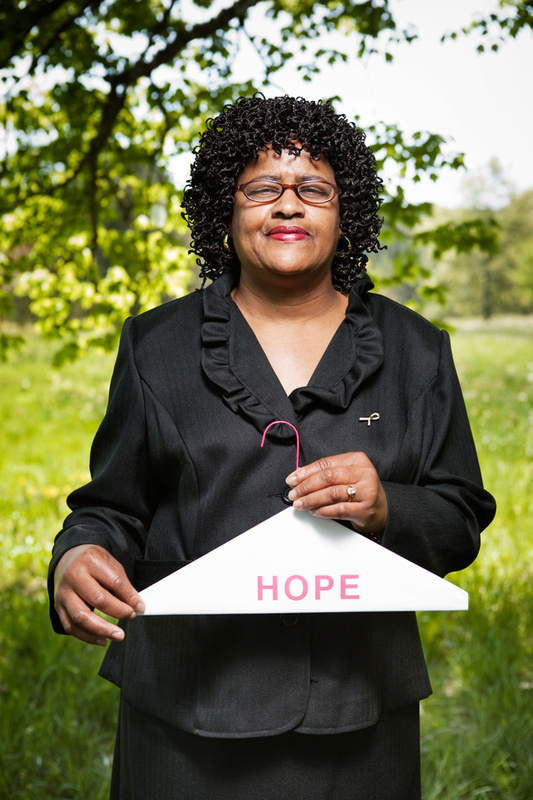 I was so pleased to be a part of this campaign, given my sister's history with breast cancer. In many forms, the disease has touched M+B, and this awareness push highlighted four women survivors connected to the company. Representatives from the factory floor, admin office, and even a long-time customer came forward to have their portrait taken as a symbol of their resilience and positive attitude. 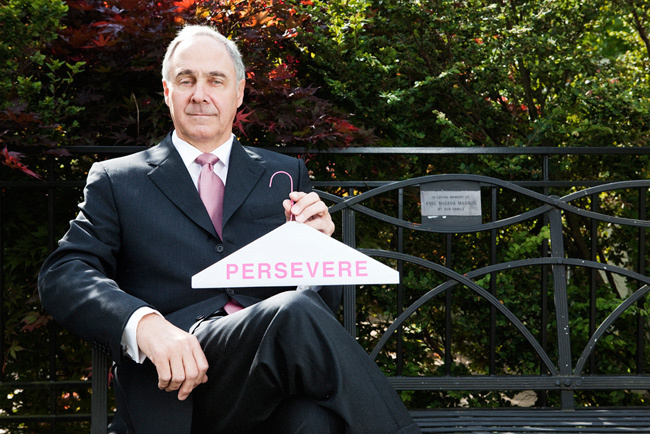 Each posed with a special Pink Hanger with a single word printed on it that reflected some of the inspiration it takes to persevere. 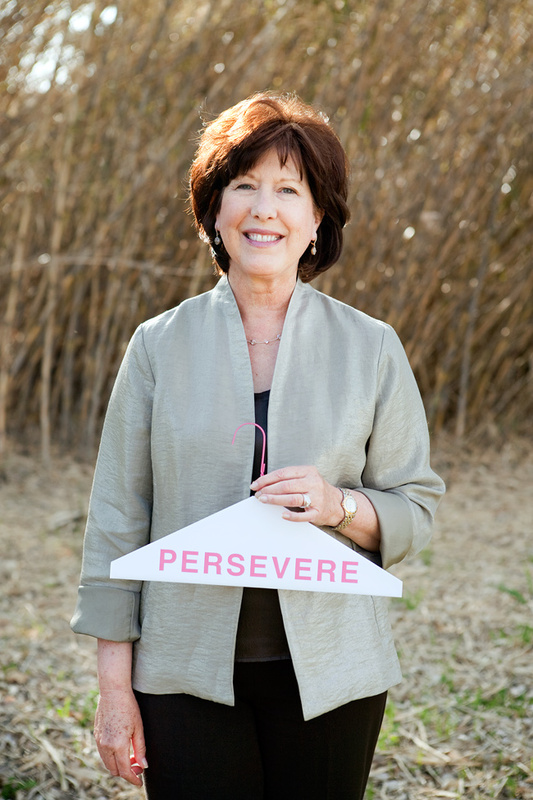 They made these special hangers available to their customers and launched PinkHangers.com to tell the stories of these brave women. Above is Cindy, a customer from El Paso, and Rachel, who works at the Leeds plant. Below is Milton, at a memorial bench in honor of his mother, also a cancer fighter.